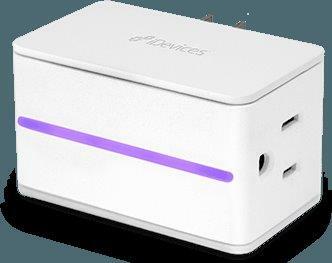 The iDevices Switch allows you to control, monitor and schedule electronics throughout your home from wherever you are; no hubs needed. Use the free iDevices Connected app or Siri® voice commands to power your products on or off. Switch gives you the ability to access your home from wherever you are for ultimate security, convenience and comfort.